There’s a technology called iFit built right into every Inchworm shoe. This technology allows you to growin the size of the shoe with a simple push of the button. So eliminate unnecessary trips to the shoe store and provide your children with better fitting shoes that last up to three sizes longer. 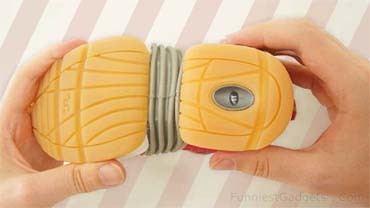 Inchworm shoes grow in half size increments.